Many aspects of life are inherently stressful. Many of us are faced with rapid changes in life, social and interpersonal problems, uncertain futures, financial problems, and many others. It is also an undeniable fact that stress can be one major culprit for hypertension. Mental health condition and psychological stress brought by many factors in life places a person in the risk of high blood pressure. The growing number of people having this problem is alarming as it has already reached an epidemic proportion. Despite the many medical advices used to address this problem, the number of incidences does not seem to drop. Recently, many studies have suggested that meditation can be the best treatment for hypertension. Using this special method has been scientifically proven to bring numerous benefits. It is recognized by many as one effective way of reducing stress, which is the major cause of high blood pressure. Also, studies showed that many people who practice this regularly were able to maintain proper blood pressure without the need to take medications. In the last few years, many studies have suggested that relaxation can be the best treatment for hypertension. It was highly advised that a person must spare some time for relaxation in his daily routine. But, just how effective this relaxation can be in lowering blood pressure? Foremost, one must understand that relaxation is of two kinds: active and passive. Active relaxation includes being engaged in activities such as sports while passive relaxation includes meditation or quieting our mind, listening to soothing music and others. 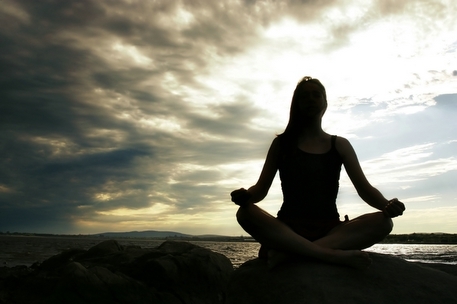 Passive relaxation such as meditation which shows mental discipline helps in lowering high blood pressure. Meditation has been described as a state of concentrated attention on objects, awareness, or thought. The main objective in performing this is to have your attention directed inward, toward the mind. Basically, you will reach that meditative state when you your mind is free from all kinds of thoughts. When you reach it, you will have utmost relaxation. This kind of activity is believed to lower the systolic pressure by 5.0 points on an average and 2.8 point of diastolic pressure. Meditation can really bring many benefits to those who intend to free themselves of this “silent killer” disease. This method, coupled with serious changes in lifestyle such as regular exercise, weight loss diets, and lowering caffeine intake can give the best results. While there are many meditation techniques introduced in the market, transcendental meditation is perhaps one of the easiest and the most popular. With this kind of meditation, you can expect to have the deepest state of relaxation all throughout the activity. Meditation can be the best treatment for hypertension and requires very little or no professional intervention. Regularly doing it can lead to major care for the health and savings as there will be significant decrease in the medications. In addition to this, you will no longer suffer from the irritating side effects of blood pressure medications. Lastly, meditation can also be one great way to reduce weight. As compared to the different procedures and medications cited in my diet brand reviews, meditation is so natural. You need not drink pills, or resort to various weight loss surgeries in order to lose weight. Meditation can surely help you with that. Julian Hooks is a former collegiate athlete, a health & fitness enthusiast, and the owner of www.dietbrandreviews.com. There he provides in-depth reviews of the best diet plans for weight loss. Previous Previous post: Happy Anniversary – Little Blue Marble!